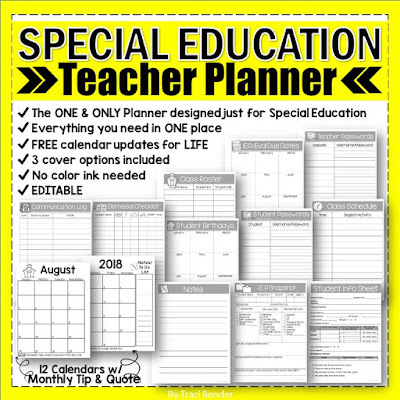 The One & Only Teacher Planner Designed Just for Special Education Teachers! Finally!! 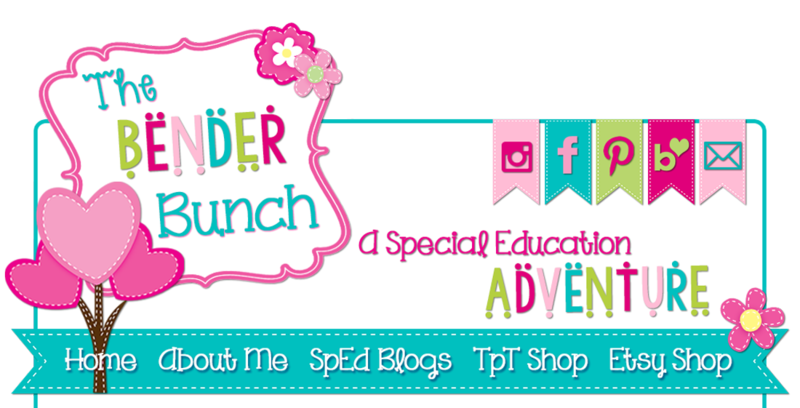 A planner designed for Special Education Teachers! 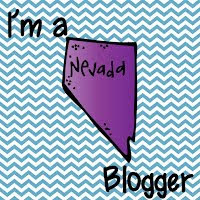 I've tried planner after planner and have yet to find one that meets my needs until now! 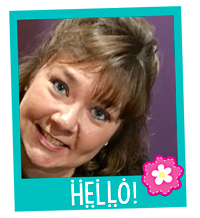 I've created a planner that specifically meets the needs of special educators! *Lesson Plan Templates will be added on 7/31. This planner includes a 12-month calendar that runs from July 2018 to June 2019 and once you purchase, you will receive FREE calendar updates every July! Each monthly calendar includes a monthly teaching tip and a monthly quote. With the exception of the calendar, this planner is fully editable, so you can easily add text boxes and type in your information on all of the forms! Or if you prefer, you can print the forms and hand write in your information. Watch the full video preview here. If you're looking for a substitute teacher binder, this planner can easily serve as that too! 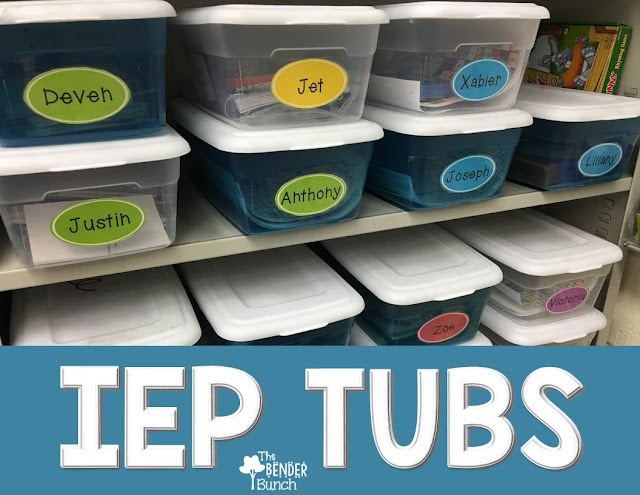 Organization is KEY to a successful school year! 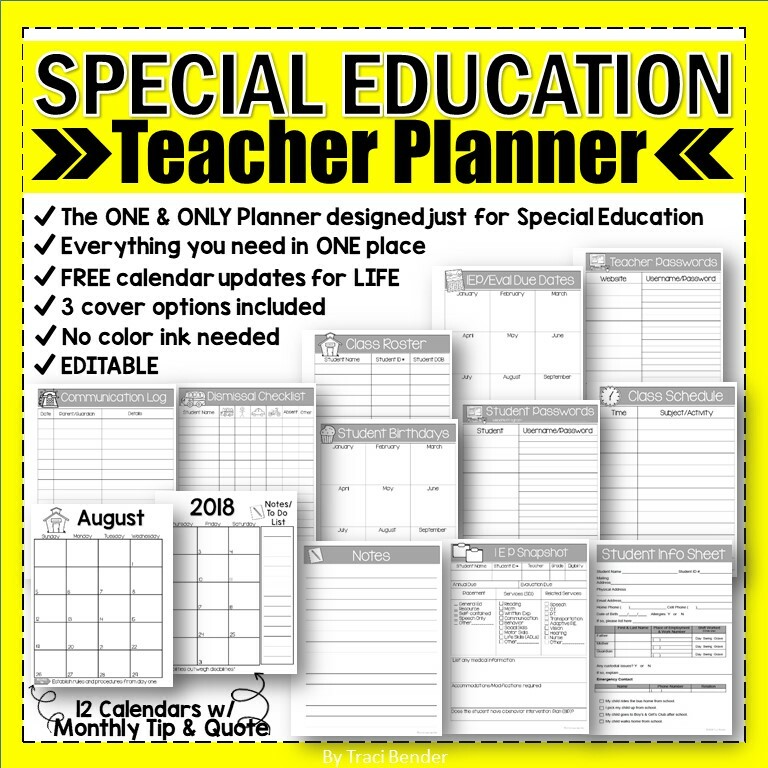 Start the year off right with everything in ONE place....with the Special Education Teacher Planner!